The folks at Faith Forward suggest: Something is happening in the church. A new kind of Christianity is taking root and growing across the globe. New forms of ministry, worship, and community are emerging. Questions are being asked. And change is happening. But amidst these changes and shifts, children and youth are being left behind. Innovative approaches to ministry with adults are emerging around the world, but little critical reflection and attention has been given to how to nurture young people within a new kind of Christianity. Click here to register. Click here for more information and to register for the Faith Forward Conference. 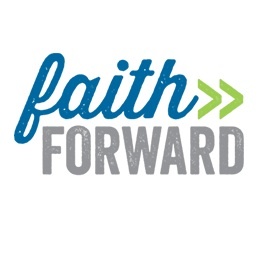 ChurchNext is thrilled to partner with the good folks at Faith Forward to offer a free class to all aimed at helping us better understand and nurture young people in the Christian faith. Registration for The Big Class: Reimagining Children’s and Youth Ministry is now open. Click here for more information and to sign up. The course will run from April 7 – April 14 and features talks with four of the most innovative and talented leaders in children’s and youth ministry. This is a free, pre-recorded class that will take an average learner about 45 minutes to work through. It features text, video, quizzes, discussion areas, as well as two free downloads: The Takeaway, which is a one-page synopsis of the class, and Discussion Questions, which can be used in face to face gatherings following The Big Class. There will be live moderating going on during the class (April 7 – April 14) so students will be able to ask the presenters questions. There is no special software required. This is the first Big Class we’ve offered in order to help get the word out about an upcoming conference. The class features four of the keynote speakers for the upcoming Faith Forward conference in Nashville. Organizer Dave Csinos and I were thinking about a way to more widely expose the work of these conference presenters to those who were either coming to the conference and wanted to get a head start on what’s coming up, as well as those who will not be attending the conference but have a keen interest in the subject. The four teachers for this class are Dave Csinos, Melvin Bray, Ivy Beckwith and Danielle Shroyer. We will be releasing a moderator schedule shortly so that students can know when these live chats are happening. We are excited to be bringing this kind of resource to a wider audience and pray this class can be useful in faith communities around the world.